Through the Freedom of Information Act, industry specialist CIT (Consultancy, Investigation, Training) questioned 326 local authorities about the number of properties they were responsible for and the number of complaints they had received between January 2012 and May 2018 relating to the three issues. 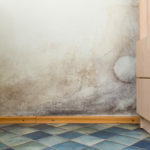 Of the local authorities that responded, 57,739 complaints had been received from tenants in the timescale set. The responding authorities were responsible for a total housing stock of 474,923 — a 12.2% complaint rate. Particularly concerning for CIT, which is a specialist in assessing cavity wall insulation (CWI) and external wall insulation (EWI) issues, was one local authority that had installed CWI into 70% of its housing stock and EWI into the remainder and had received complaints equivalent to more than 80% of its properties. The research also revealed that installation and CWI extractions are on-going across the country, with 16% of respondents installing it and 5.6% removing it. EWI is currently being installed by 20% of survey respondents. CIT (Consultancy, Investigation, Training) is a specialist provider of independent, expert technical advice and property investigation services to organisations concerned about the performance of insulation products. It delivers peace of mind about the condition of housing stock and reassurance when properties are being recommended for retrofit intervention works.